The museum is lucky to have a varied handling collection that can either be enjoyed as part of a visit to the museum, or can be brought to your classroom for a handling workshop. Sessions are available Monday – Wednesdays, and cost £75 per class. 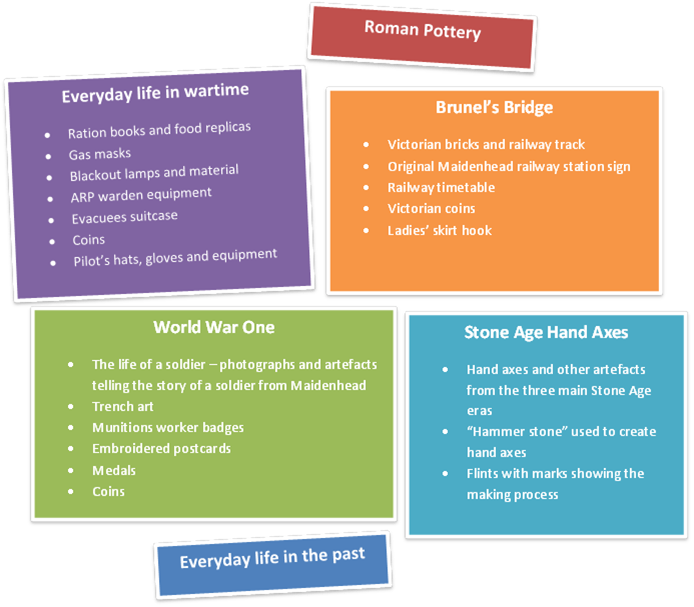 If you’d like to enquire about loaning artefacts for a school exhibition or extended classroom project, please contact education@maidenheadheritage.org.uk. We will be updating the list and adding photographs as soon as we can.